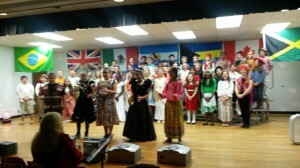 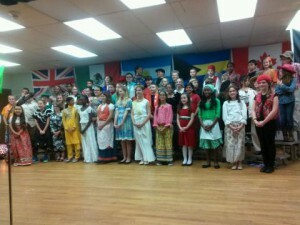 On Thursday, December 11, 2014, the Morningside Elementary Chorus under the direction of Donna Calvert presented a upbeat singing and speaking presentation for parents and guests to celebrate traditions around the world. The students dressed in traditional costumes from their country or state and told about the traditions that are part of that country’s holiday time. 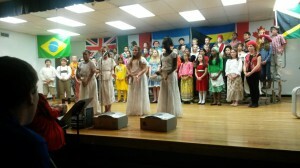 Student’s also played bells, tambourines and other percussion instruments throughout the program.